I tore through the first two-thirds of this short, action-accelerated novel in a brief afternoon, but it took me the course of a busy second week to complete the final third. Sadly it was not just my busyness, but a declining interest that made this more difficult to finish off. The novel wastes no time getting into the action, a multi-parallel-world SF ride. At the start, when things are still unclear to the reader and kept mysterious, Ward’s writing succeeds fabulously. Things fall apart, however, when Ward begins to answer some of the reader’s questions (or at times questions that hadn’t even occurred) and explain the details of the previously mysterious uncertain plot that unfolded in the protagonists life at such break-neck speed. While the writing is perfectly fine at a more ‘local’ level, Ward runs into problems in crafting the plot believably, even for this kind of fantastic multiple-worlds scenario, making the overall composition of the story a bit of a mess. This kind of story can be fraught with plot holes, and loads of mind-bending complexity not unlike what can occur while trying to handle time traveling in a novel. Ward tries extensively to make this universe and the events that befall the characters be consistent, but I never really became convinced that was the case. Instead the attempts at explanation just seemed to draw attention to how terribly convenient events were for the protagonist and his friends, almost as if some ‘hand’ were guiding things so they would work out to fit the story. For instance, objects traveling from one world to a parallel one will appear in the same space – even if ‘ground-level’ on one Earth is a mile underground in another. But notes can be passed between worlds into a pocket, no matter how subtly shifted, because THOSE can be passed by a slightly different means. Which begs more questions… Far more unbelievably, events in the climax occur with mind-boggling rapidity, where an entire Earth’s population is convinced they’ve been lied to by the protagonist simply yelling his arguments in panic to some citizens on the street. Just like that, they believe him and act. I think the novel could have stood being developed into a longer work with more effort being placed in letting events flow naturally from the characters rather than forcing situations along the path the author had mapped. 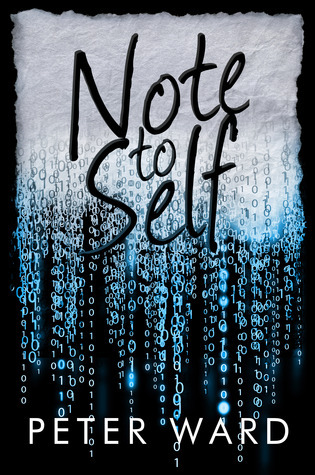 I liked that the novel was not just simply a mysterious SF adventure, but also had some interesting commentary on social media and the public’s willingness to turn ourselves over with profound trust to large, secretive organizations. The novel also highlights a relevant theme of exploiting the environment for short-term selfish gains, to support massive increases in technology and convenience at the expense of things far deeper. These are all great things to write about and consider, I just wish they had been done here in a more realistic, honest fashion.